Designed to store picture books this book spinner has 2 tiers. There are 12 bright colours to choose from so this book storage unit is ideal for nurseries, schools and children's libraries. 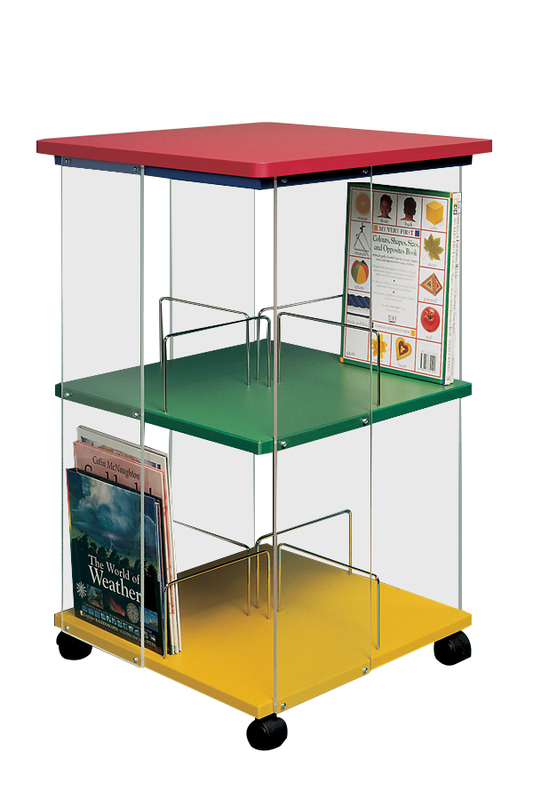 The lower shelf is mounted on 4 sturdy castors making the unit is easy to move around. See the wide range of book spinners we have available. For more information please Contact Us or call us on 01733 511121.